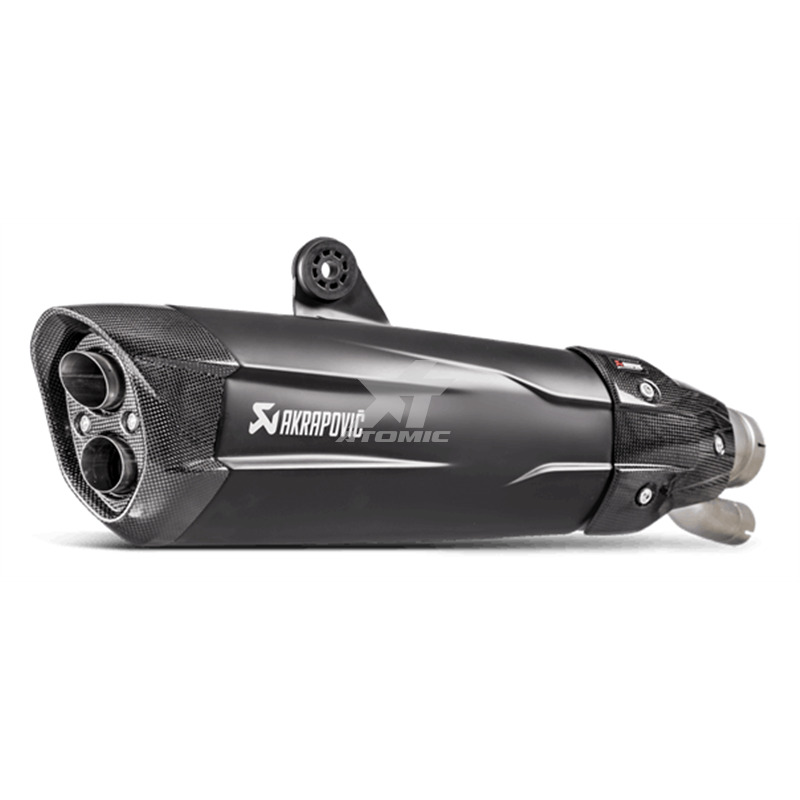 It's supplied with everything you need to install it on the bike without any modifications. Equipped with removable db killer. 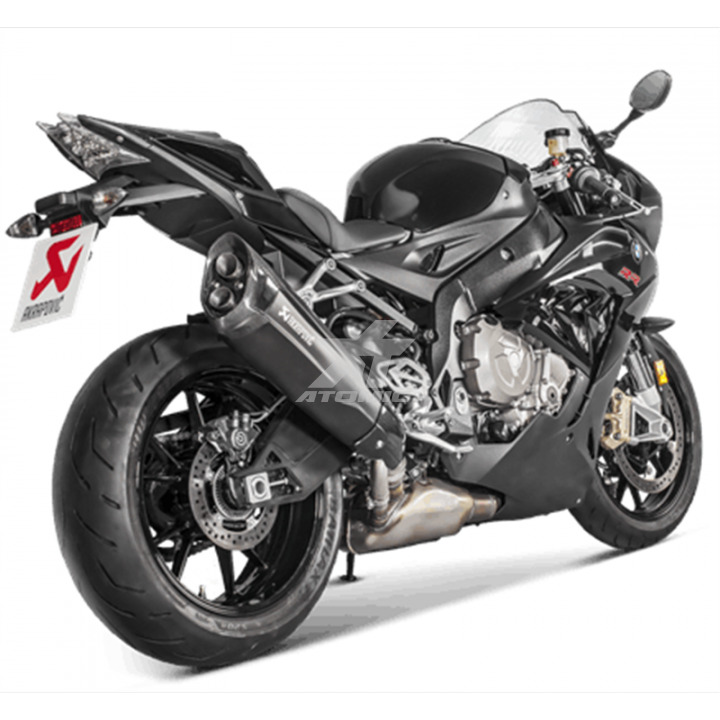 Our sporty and lightweight conical SLIP-ON system offers a great balance between price and performance, and represents the first step in the exhaust system tuning process. The change will also be visual as our conical hexagonal muffler perfectly fits the exterior line of the BMW superbike and adds a clean racing image. The system is significantly lighter when compared to the stock muffler and features exceptional production quality, combined with a racing sound output. The muffler outer sleeve is made of titanium, while the end cap is made of carbon fiber. Power & Torque: the exhaust system modification with the SLIP-ON OPEN system results in a major boost in performance, delivering a massive 188,10 HP at 13175 rpm on the back wheel. But the increased power isn’t available just at the top of the range; the system shows its quality from 5500 rpm already up through the entire rpm range. Max. increased power between the Akrapovi? and the stock system is 2,8 HP at 13160 rpm. Besides this, the torque is substantially higher in a lower rpm area and from middle to high rpm area.